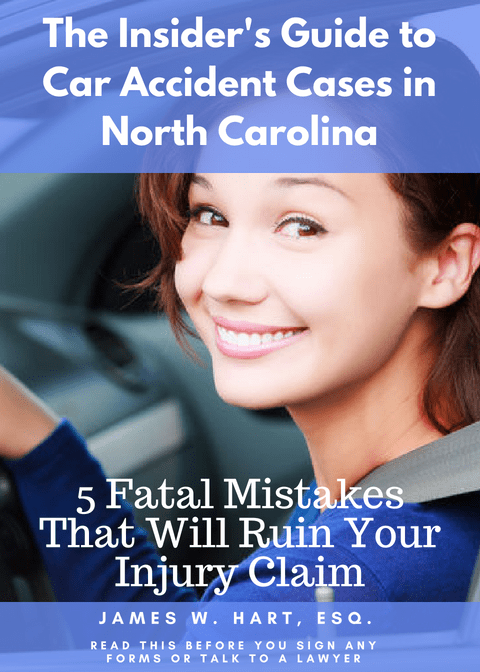 Many accidents in North Carolina are nothing more than minor fender-benders, meaning that there are no personal injuries, or if there are injuries, they are minor. Notwithstanding, there could still be extensive property damage to your vehicle. The purpose of this article is to explain to you how to deal with the property damage aspect of your case when there were only minor physical injuries to the individuals involved in the accident. In the vast majority of cases, you will be able to resolve your property damage claim without seeking the help of a lawyer. What If You Aren’t Happy With the Estimator’s Determination? If you have been in an accident and were fortunate enough to not be seriously injured, consider yourself lucky. However, that luck doesn’t help when you need to drive to work or to the grocery store to get food and your car is in the shop. The first question you should ask yourself is whether or not you will need a lawyer to help you with your property damage claim. In many cases, the answer to this question is that you do not need the help of a car accident lawyer to manage your property damage claims. In fact, a lawyer may actually delay your repairs as they are just one more intermediary between you, the insurance adjuster, and the repair shop. Many lawyers, ourselves included, will help to guide you through this process when you hire them to assist with the personal injury side of your claim, without the need to sign a separate contingency fee agreement. We want you to get your car back as quickly as possible, and by coaching you through the process you have a greater likelihood of getting your car fixed and back to you as soon as possible. One of the first things you need to do after you have been in a car accident is to call your insurance company to notify them of a claim. Hopefully, you have added two very important coverages to your policy – roadside service/towing, and rental car coverage. Some people choose not to add roadside service/towing to their auto policy, but instead opt for a service like AAA. That’s fine too. But assuming you have roadside service and towing, and your car cannot be driven, then you will want your insurance company to call a tow truck to come get your car. It may take an hour or longer for the tow truck to get to you, so you or a family member or friend should make this call as soon as possible after the accident. Remember that this entire article assumes that you did not suffer any personal injuries, or your injuries were minor. 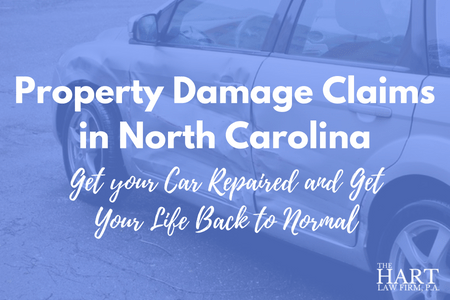 If you were seriously injured, then the property damage to your car should be the least of your worries and we want you to focus on your health first. When you are talking to the insurance company, they will have several automotive collision repair shops that they will recommend you tow your vehicle to. They do this because they have contracts with these repair shops and the entire process will be easier if you go to one of their preferred shops. You can choose to send your car to one of the shops they recommend or you may have your own shop that you want to send your vehicle to. Every shop is different and every insurance company is different. There are lots of small towns in North Carolina that may only have one repair shop available. You will need to use your best judgment to send your vehicle to a shop that you trust. Once your car has been towed to or driven (if you can drive it) to the repair shop, you will need to get a rental car. This is where the rental coverage on your policy will come in really handy. All you need to do is let the rental company now what rental coverage you have (typically $30-50/day for a period of days), and they will find you a car that fits within that parameter. If you need a vehicle that falls outside of the amount you are covered for, they may require you to pay out of pocket for the difference. One of the first things the insurance company will do is send somebody out to look at your car and review the estimate prepared by the auto collision shop. The auto shop, not surprisingly, will prepare an estimate that may be a bit “inflated”. The insurance company representative’s job is to make sure that only the repairs that were caused by the accident are being fixed and that the cost of the repairs is reasonable. They may disallow repairs that appear to have pre-dated the accident. If it appears obvious that the damage to your vehicle exceeds its total value, then the adjuster may call the vehicle “totaled”, and offer to send you a check for the value of the car. Frankly, this scenario pretty much stinks for you, because now you are forced to go buy another car and the car you were driving was worth way more to you than the amount the insurance company is willing to pay for it. Assuming that you are able to have your car repaired, you may be responsible for paying the deductible on your car. This is another area where the type of insurance you have is important. The lower your deductible, the lower your out of pocket expense. In certain cases where it was clear that the other party was at fault, the insurance company may agree to waive your deductible and submit the repair bill to the at-fault driver’s insurance company to pay. The insurance company will frequently negotiate this bill on your behalf without you having to pay anything out of pocket. Clearly, this is an ideal scenario. If you are having your car repaired, there is frequently very little negotiation required. This is because you don’t really care how much the repairs cost – you just want your car back to the way it was before the accident. You may also have a claim for the diminished value of your vehicle. If the difference between the adjuster’s value of your car and the cost of repairs is minor, you can ask the adjuster to just approve the cost of repairs. Sometimes, depending on the adjuster, they will do this for you. You can take your car to another shop that may provide a lower estimate. You can negotiate the value that the adjuster has placed on your vehicle. You can do a combination of all of the above. If you don’t like the estimate that the first body shop gave, you may want to have your car transferred to another repair shop for a second estimate. Sometimes a second shop will give a lower number so that you don’t have to “total” your car. If your car is “totaled” you may need to negotiate the value of your vehicle with the insurance company. To do this, you will want to ask how the adjuster determined the value of your vehicle and counter this valuation with information of your own that shows their valuation was inaccurate. Clearly, going through an auto accident and the resulting repairs to your vehicle is a stressful and difficult experience. You didn’t ask for this. You didn’t want this to happen. But with a little information, you can become an empowered consumer. That is what we prepared the information on this website.